Please allow up to 1 business day for processing time before order ships. Shipping time does not include processing time. Allow for processing, shipping, and delays when placing your order. We recommend 7 business days in advance depending on your location. We cannot guarantee shipping times or offer refunds on shipping if it does not arrive on time, so order with plenty of time to spare. We are not liable for delays in UPS shipping or errors. Please call UPS if you have questions on your package after it has been shipped. Please note that we do not ship to PO Boxes. Customers are responsible for UPS address correction charges if incorrect address is provided. Below is a UPS shipping time chart. Will Glow Weapons brand products break? Seriously, NO! Not under any normal circumstances. We manufacture our weapons with the HIGHEST grade of plastic available, polycarbonate. They use this in aircraft windshields, bulletproof class, martial arts face shields, etc. Our weapons are MEANT to take any impact you can dish out. You can literally smack them with a hammer and wont break, hit them as hard as you want, we have even ran over them with a Toyota Tundra. Dont believe us? Check out our videos section. We designed our weapons with impact in mind, so you absolutely DO NOT have to worry about them breaking. Wood weapons you do need avoid impact with. We only accept returns if it is a factory defect. Removing plastic inserts in the Glow Weapons voids the warranty. You MUST contact us before sending any returns. Returns will not be processed without prior approval. We reserve the right to cancel your order and fully refund you for any reason. If we receive any deliberately fraudulent credit card chargebacks, you will be charged a $25 chargeback fee if you have received the item, just like a returned check fee. Due to the fact that our Glow Weapons are an item that will likely be strongly abused under martial arts conditions, we cannot accept returns on items other than factory defects. Factory defects include items that are dead on arrival, broken, or incomplete, though this rarely ever happens. We do not accept returns on weapons if you over order for your event. We offer a 30-day warranty on all of our own brand products! This includes our Glow Weapons line and all other products that we produce. For exchanges of any product, you must still pay return shipping for the item should there be a problem. Warranties are only honored if you have not altered the item in any way and the colored or plastic insert to be used with glow sticks has not been removed. Check each individual items for other warranty policies. Some other items that we only carry and do not produce will not carry warranties. This does not mean they are not good quality products, they are excellent! We simply are not offered a warranty with these items from the manufacturing company, so we are unable to pass along a warranty. In addition to being able to place orders online, we can also accept orders over the phone. If special arrangements are made, we can also accept money orders or paypal as well. This may delay your order, but we do provide those payment options. We absolutely do not ship any orders before payment has been completed. Coupon discounts codes are available for online use only (not available for phone orders), and are good only at the time the order is placed. Coupon codes cannot be redeemed after an order has been completed. If you are martial arts school owner and would like to purchase wholesale from us, please sign up for a regular account first and then Email us once you have done so. You will need to fill out a quick form to send to us for tax purposes, and we will then change your account to wholesale pricing. Please note that the prices that you see currently are NOT wholesale pricing, these are retail prices only. Once you login with this account, you will then be seeing wholesale pricing and can buy directly from us online 24 hours a day! Also please note that we only sell directly to Martial Arts school owners. 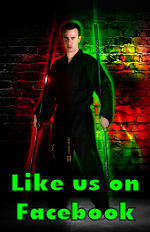 We do not sell wholesale to other online martial arts supply shops or distributors. Can we get a better price if we buy a lot of Glow Weapons? We do already offer our products at wholesale pricing to business owners once you have set up an account with us, but we do not offer further price breaks or discounts beyond that. (Unless you can convince the production workers that they arent getting paid today) Yeah, probably not going to happen. We get asked all of the time if we can give an extra discount on so many weapons. We actually already buy OUR materials at the highest quantity break possible, and our prices are based around this cost. So you already ARE getting a great deal! A Glow Stick or Necklace is a piece of plastic tubing, which is hollow, in which a special GLOWING liquid is sealed inside. The glow will last from 4-10 hours depending on the color. They have been around for years although you usually see them at the large Theme Parks. So what causes the Necklaces to glow? The secret is in the liquid, nick-named Glow Juice. One of the chemistry experiments your science teacher might have had you do consisted of pouring two clear liquids together. The combined mixture turned red! Glow Juice works the same way, when you mix two liquids together the combination makes a SAFE luminescent glow. Is the liquid safe? Our Glow Juice is non-toxic and does not violate any patent. It is not meant for children under 5 years of age. The liquid should NOT be removed from the tubing since it may stain clothing and furniture. If you get it in your eyes it will sting, similar to the feeling of having soap in your eyes. Have the person flush water in their eyes repeatedly. If the stinging sensation continues the person should see a physician. Also pleast note that we are not the manufacturer of these Glow Sticks, we only use them in our products. So how do they work? The glow sticks are manufactured keeping the two chemicals separated within the plastic tubing. One chemical is in a glass ampule inside the tube and the second chemical surrounds it, which is also inside the tube. Since they have not yet mixed, they are not glowing. To activate the glow, just bend the necklace or stick a couple of times and shake or spin it around. This causes the two liquids to mix. Do you export your Glow Weapons to other countries? For Martial Arts school owners only, we do offer exporting. Some countries may or may not allow the importing on nunchakus, so check your laws. Buyer inherits all risks and liability on importing, material, & weapons costs in the event of it not arriving due to seizure, delays, etc. Cost for exporting our smallest weapon, the nunchakus, starts at around $4 each for shipping costs so that you have an idea. Your privacy is very important to us. We do not sell or rent your personal information to third parties for their marketing purposes. We use safe, secure technology and other privacy protection programs to keep your personal information secure on our website. Our website is 100 percent secure! By agreeing to terms and conditions and signing up for an account, you do allow for us to call you via automated broadcast or robo calls with information or current sales, discounts, or coupon codes. Users of all of our products assume ALL risks with using the product. We are NOT responsible for any injuries arising out of the use of products that we sell or produce. Please note that we sell WEAPONS, not toys. Our products should never be used by anyone under 18 years old without adult supervision. By checking the I Agree to the terms and conditions box during the checkout process, we are released from all liability and are not held responsible for any injuries arising out of the use of our products that we sell or produce.